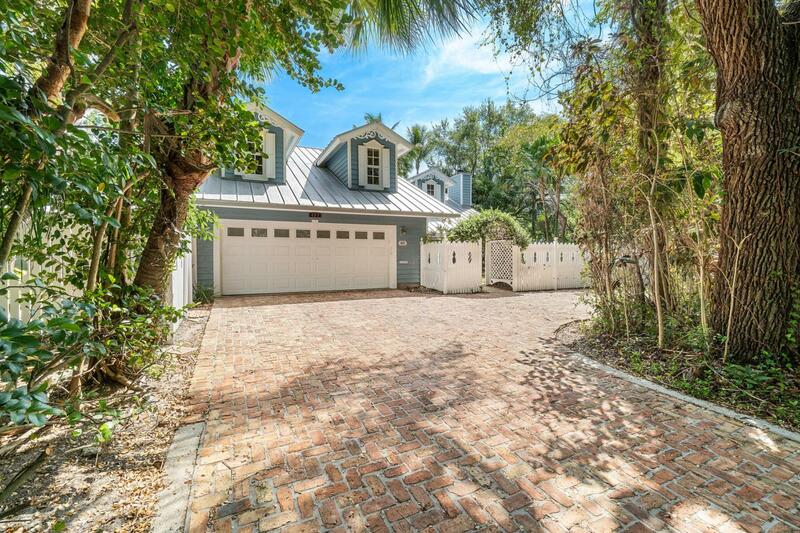 This charming Key-West style home sits on a 1/3 acre private, resort style corner lot in historic Old Floresta in East Boca Raton.The excellent floor plan consists of 5 bedrooms (2 master bedrooms) + office, 5 1/2 baths, covered porches and patios and a kitchen featuring granite counters, Subzero and Wolf appliances. Additional features include Chicago brick circular driveway and pathways, new impact windows, and renovated bathrooms. Peace and quiet abound in this tropical paradise in the most special and unique community of Old Floresta. In addition to the distinctive beauty of the home itself, you are just minutes from Mizner Park, Boca's pristine beaches, shopping and transportation. Enjoy A-rated schools including Addison Mizner Elementary, Boca Middle and Boca High Schools.Disclaimer: All measurements, square footage, etc. provided hereunder are provided for informational purposes only and shall not constitute any warranty or guaranty as to the actual measurements, square footage, etc. of the subject property. Any purchaser is encouraged to make an independent investigation as to the actual measurements, square footage, etc. of the subject property.